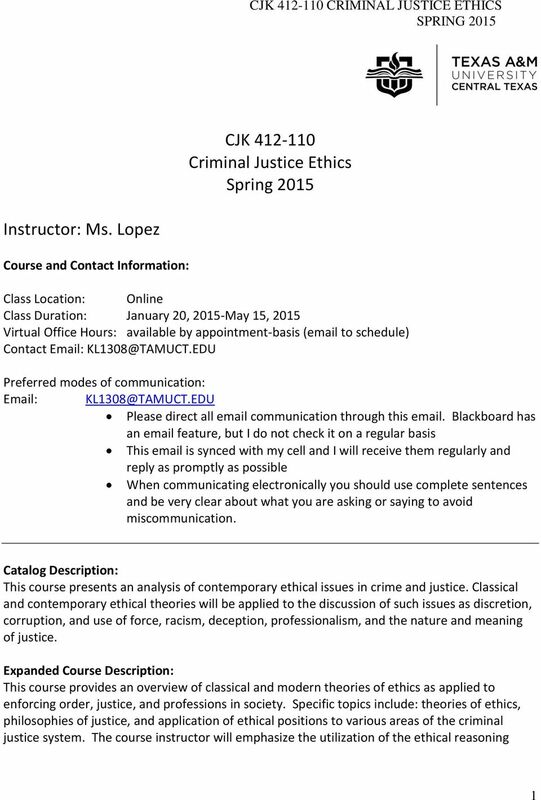 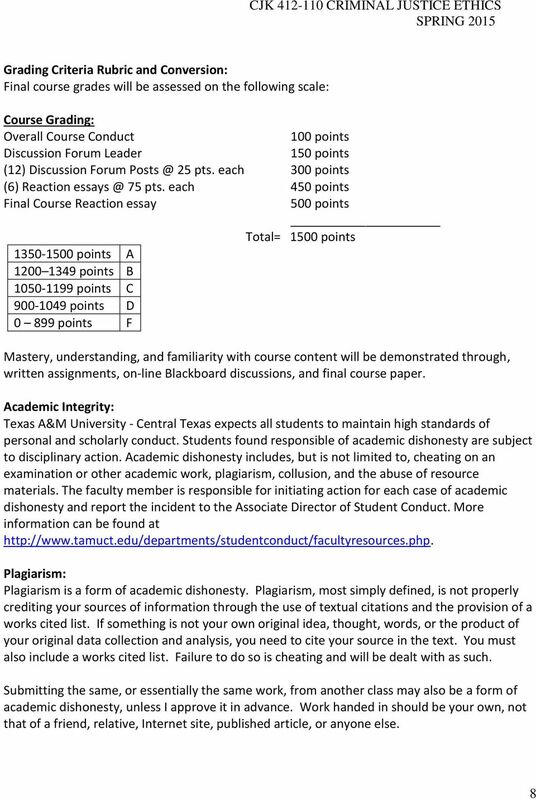 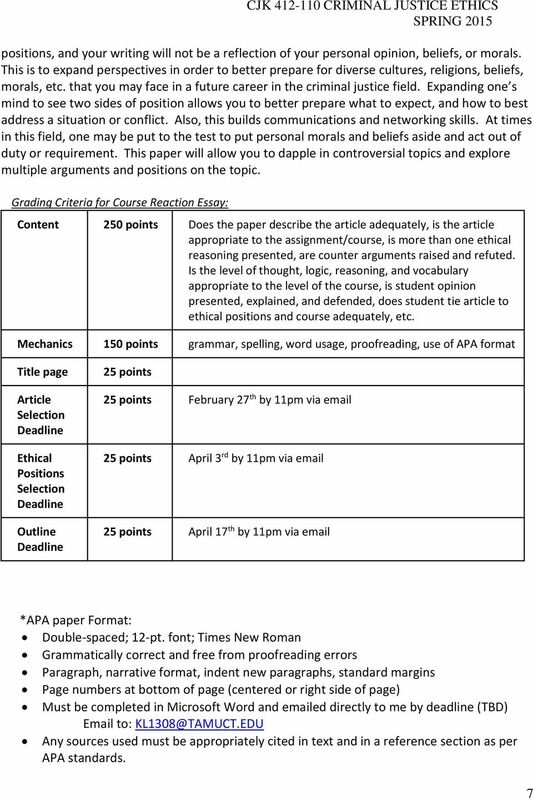 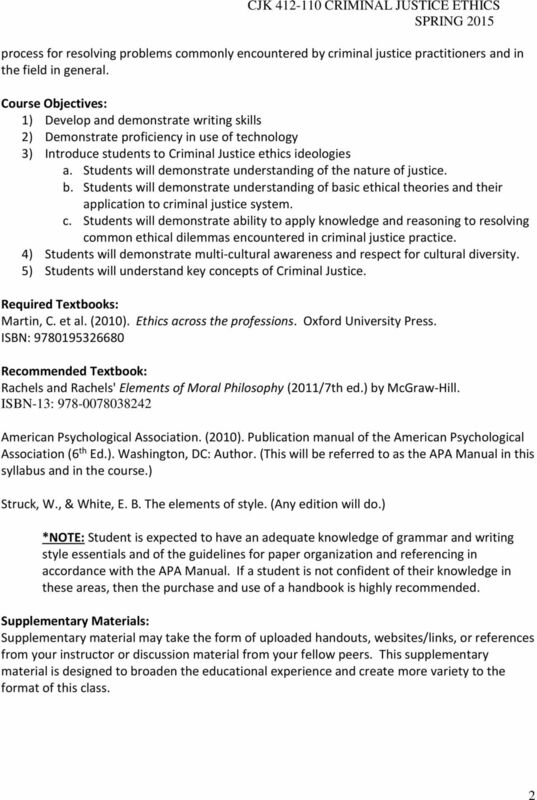 Download "CJK 412-110 Criminal Justice Ethics Spring 2015"
This course is worth THREE college Credits. 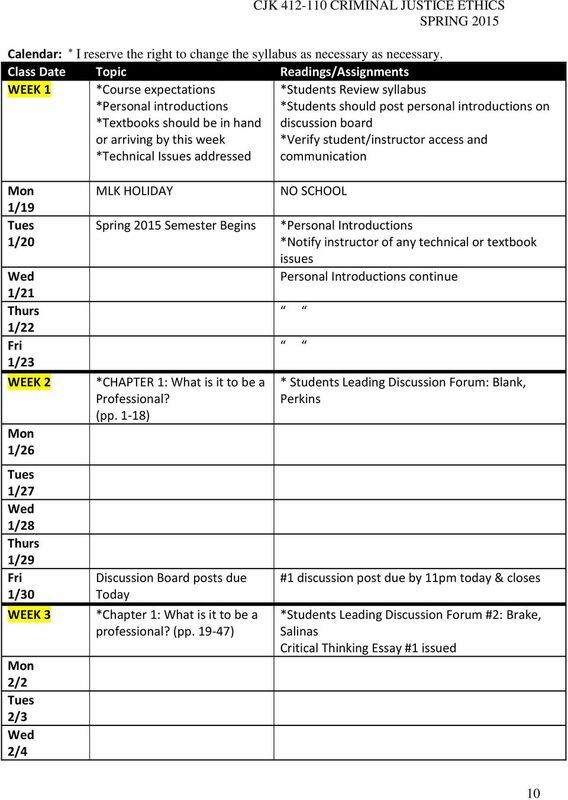 Reading and Assignment Calendars will be provided in class early in the semester. 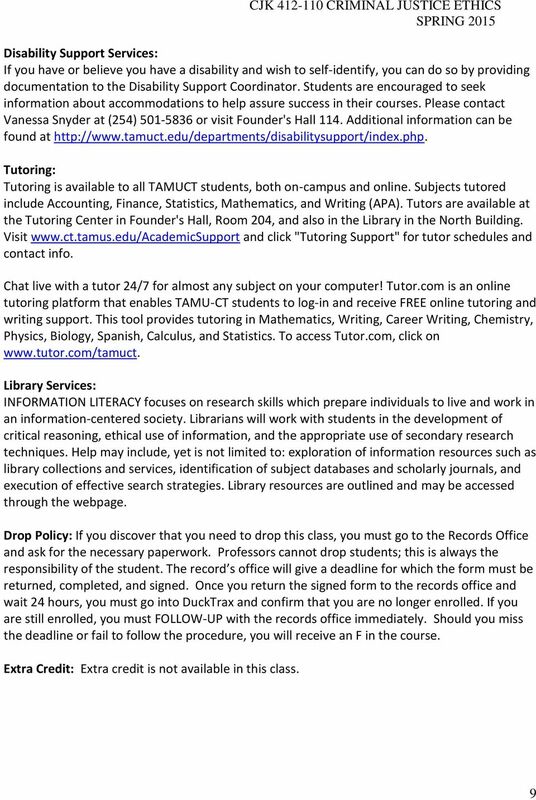 Contact Information I usually try to check email once per day and respond within 48 hours or sooner, except on weekends and holidays. 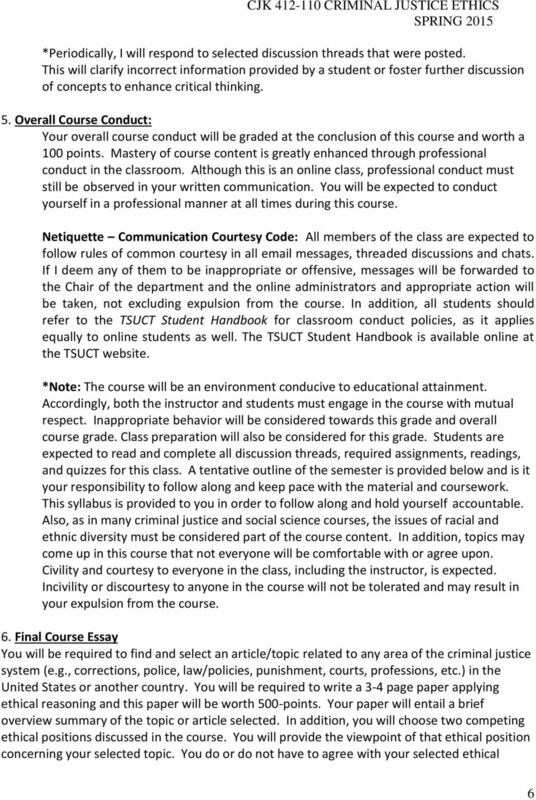 The course is worth THREE college Credits. 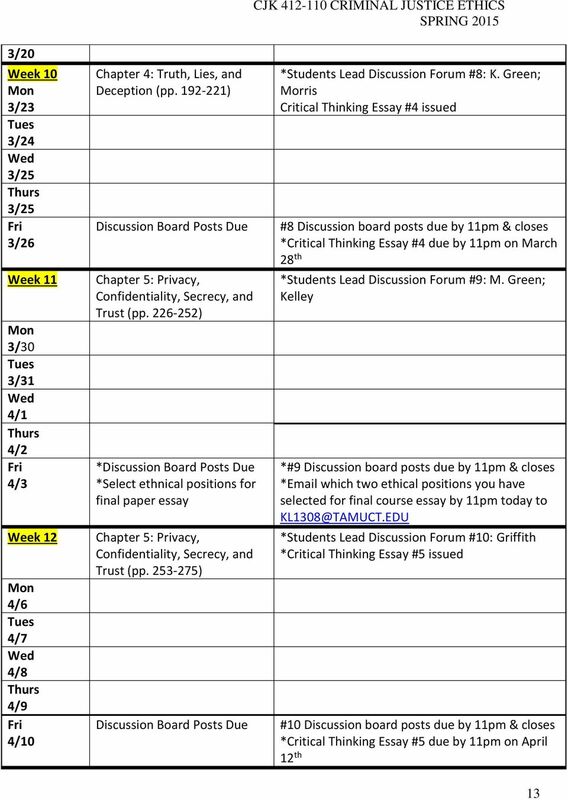 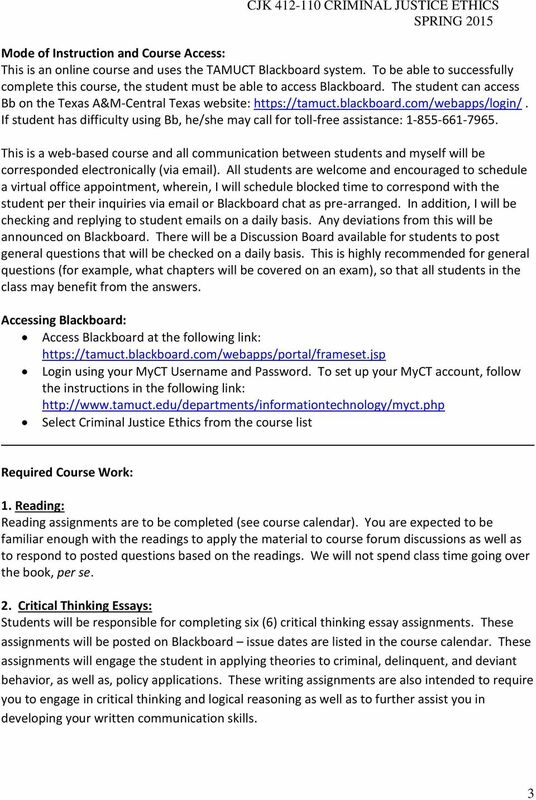 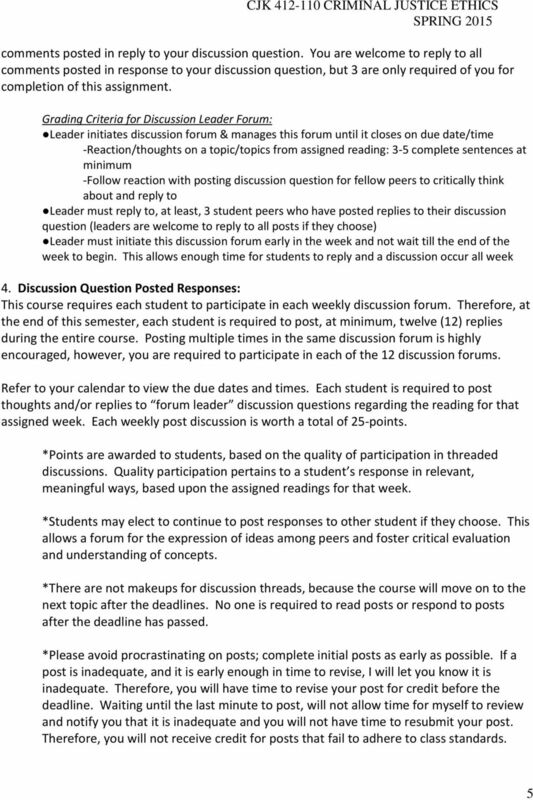 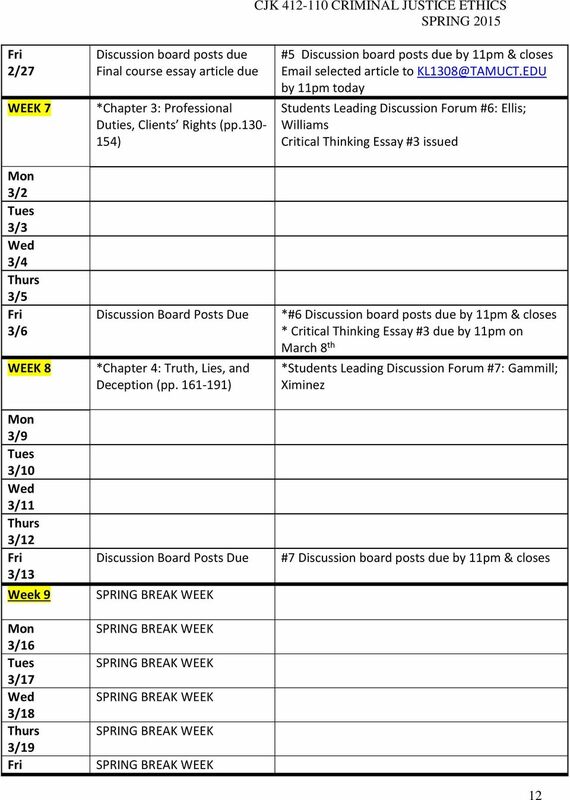 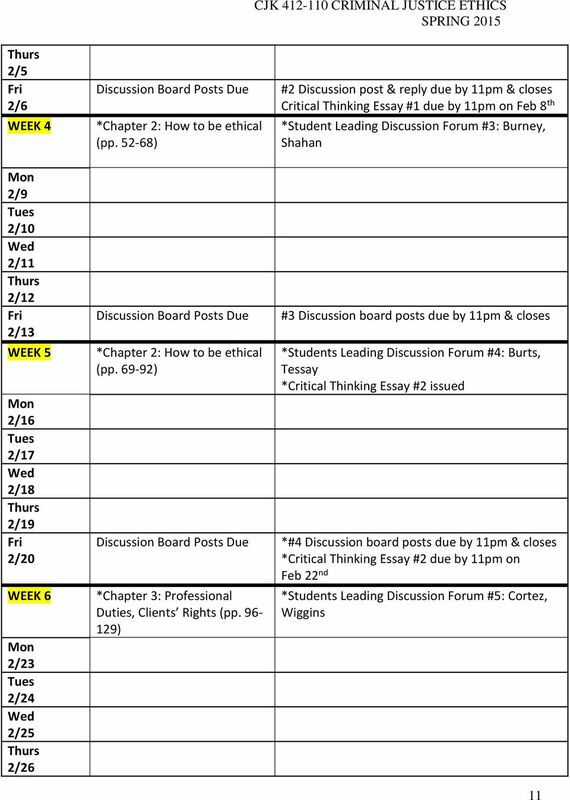 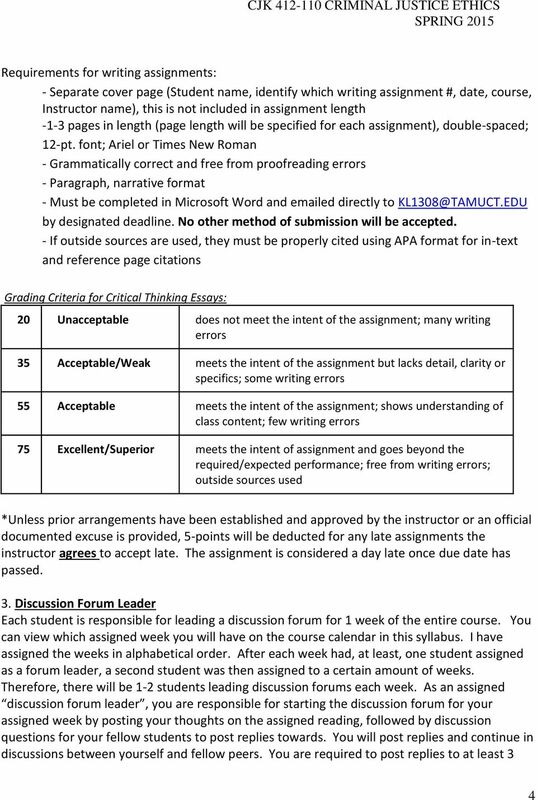 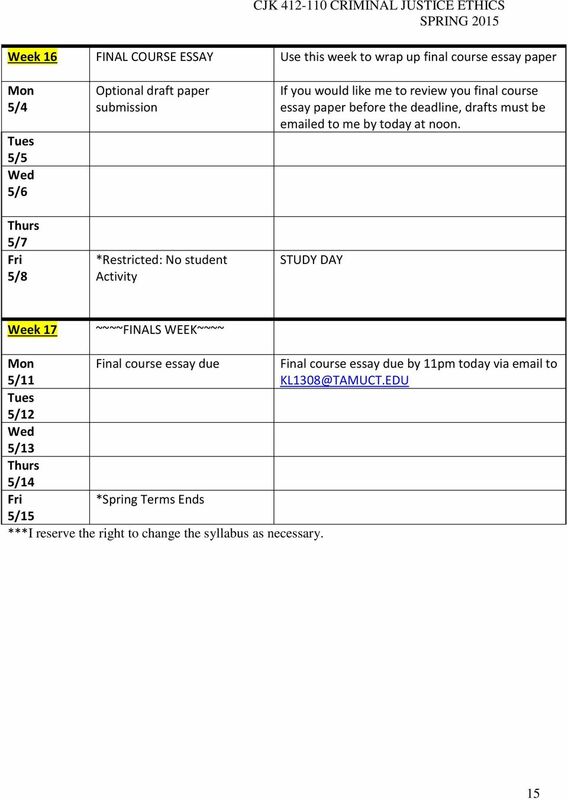 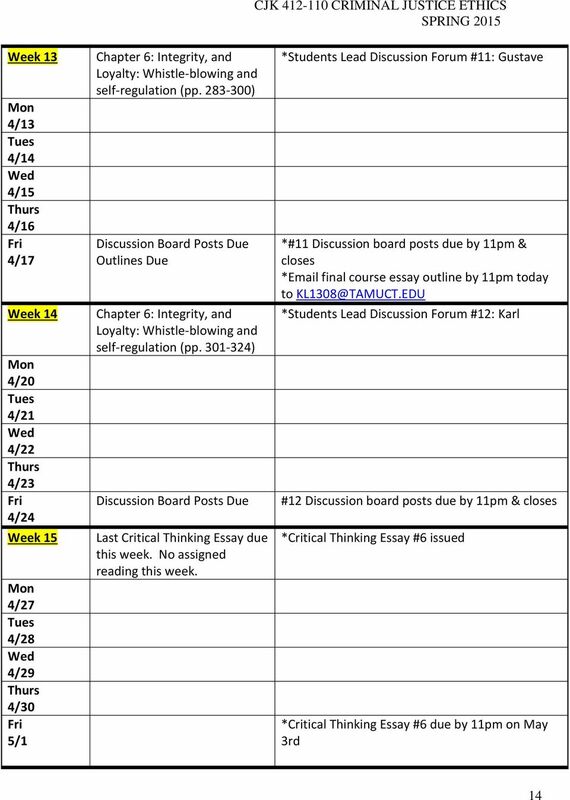 A Reading and Assignment Calendar will be provided to the class early in the semester.